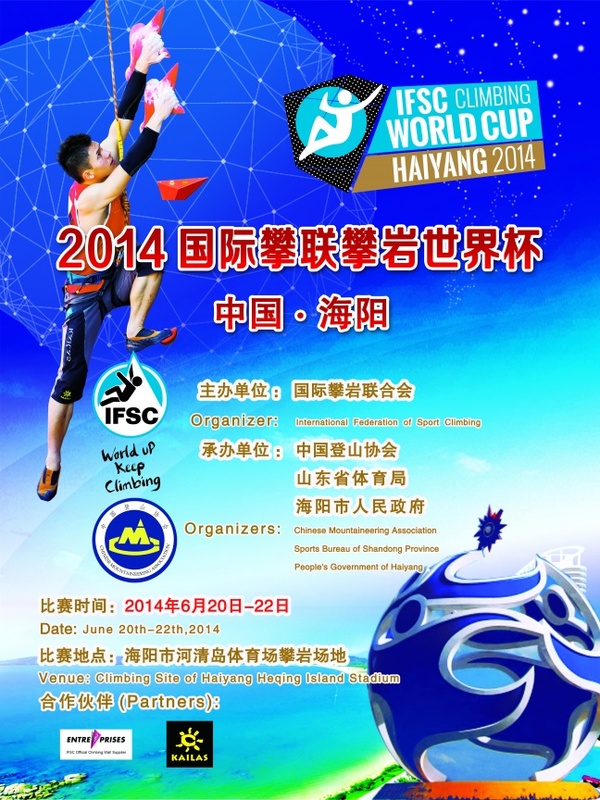 The 7th stop on the 2014 IFSC Bouldering World Cup circuit took place this past weekend in Haiyang, China, and it was Japan’s Akiyo Noguchi winning another gold for the women while Germany’s Jan Hojer took home another gold for the men. For the women it was the familiar trio of Akiyo Noguchi, Shauna Coxsey and Anna Stohr taking the top 3 places. For Noguchi this was her third consecutive win after top finishes in Vail and Toronto, and she has only missed the podium once all season when she finished in 4th in Grindelwald. This string of impressive results has put her in the overall lead with one event remaining, just ahead of the equally brilliant Shauna Coxsey1. For the men it was Jan Hojer rebounding from a disappointing result in Vail by taking home his 3rd gold of the season, extending his overall lead over Dmitrii Sharafutdinov who was just out of Finals in Haiyang in 7th place. Sean McColl had his 3rd consecutive podium finish with a silver, and he would go on to finish the in the same position in the Lead competition as well. The Bouldering World Cup circuit concludes this weekend with its final stop in Laval, France. Both the men’s and the women’s overall titles will be in play, so it should be a very exciting conclusion to the season! No highlights this week since the comp was not streamed as it normally would have been due to the comp being in China, but if the replay makes its way online I’ll be sure to share it. do you know if there will be full vids of these competitions? 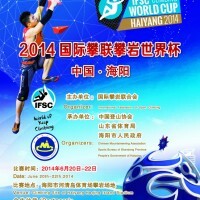 The IFSC generally uploads the replays of semis and finals when they get a chance. Not sure if they will for this comp or not. I was told by someone at the IFSC that the videos would be “uploaded shortly on YouTube”, I assume to their usual channel. Should be interesting as there are very few tops at the bouldering finals.